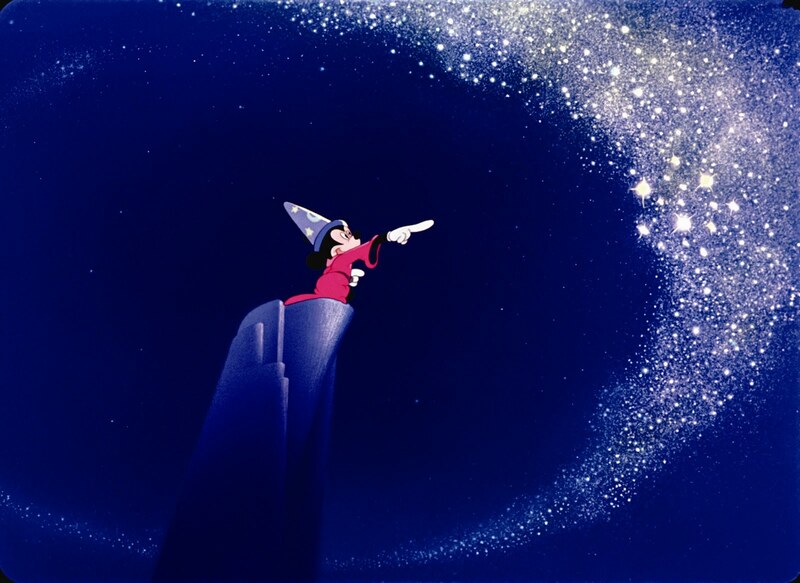 Disney’s third animated feature film, Fantasia, was never intended to be a film at all. 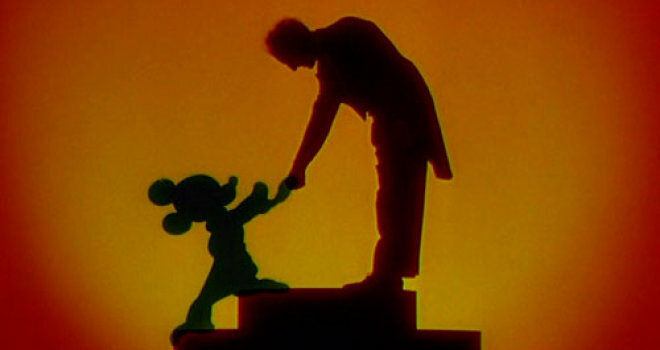 After production costs for a new Mickey Mouse short, The Sorcerer’s Apprentice, went much higher than expected, it was decided to be added to a compilation of animated shorts accompanying classical music. This compilation was also not intended to be a definitive film, but instead a showcase of different animated shorts that would be replaced and reissued with more musical shorts through the years. In the end though, Fantasia greatly benefitted for remaining its own film. Though it was initially met with a mixed reception, the decades since its 1940 release have proven it to be a classic in the Disney canon, and it’s most certainly the most artistically ambitious film the studio made during Walt Disney’s lifetime. Fantasia is a much different film than most other Disney offerings. It’s a lot more like a concert than it is a movie. It features a “master of ceremonies” in Deems Taylor, who introduces each animated segment during live-action intermissions. We get to see the orchestra, and conductor Leopold Stokowski, prepare the instruments and music before each of the film’s eight animated shorts (with the live-action bits being displayed in half-light-half-shadow, further playing into the film’s visual mystique). Deems Taylor informs the audience from the get-go that Fantasia is comprised of three types of segments: those that tell a definitive story, those that have definitive images but don’t follow a direct narrative, and those that are simply abstract visuals, with no narrative whatsoever. These differing styles help give each segment a distinct personality and tone, not to mention variety. It goes without saying that the music is great. With featured compositions from the likes of Beethoven and Bach, it really couldn’t go wrong. Each piece is accompanied by some rather glorious animation, which remain some of the best and most imaginative in the Disney canon. Each segment has a visual distinction from the others in both style and character designs, and it’s actually surprising how well the visuals compliment the classical music. If any of the Disney features from the studio’s early years showcased the talent they had to offer at the time, surely it’s this one. A number of the segments even come across as dreamlike, thanks to the often haunting visuals. Unfortunately, not all is perfect with Fantasia. With so many different and distinct segments, it only makes sense that not all of them are equals. Despite the great Beethoven composition and the fun Greek mythology visuals, the Pastoral Symphony segment feels like it drags on a bit, and the “Meet the Soundtrack” segment that plays after the intermission seems to just kind of be there. But when Fantasia is great, it’s really great. The Sorcerer’s Apprentice remains one of the best Mickey Mouse shorts (and oddly, it remains Mickey’s only real role in a feature film from the studio), and the Rite of Spring short, which displays “the first billions of years of Earth’s history” is a definite highlight in both the visuals and how they coexist with the music. Fantasia is also wise to save it’s best segment for last. 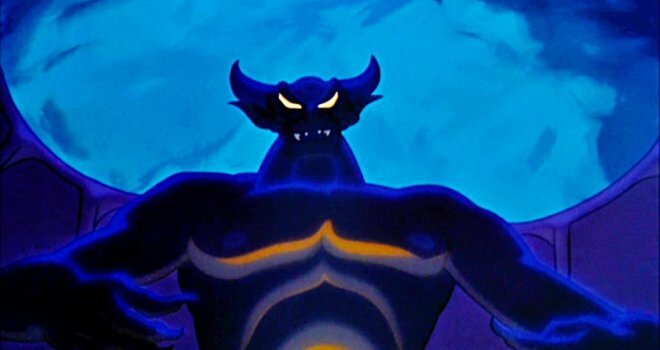 Night on Bald Mountain, which sees the demonic creature Chernabog summoning monsters and ghouls for his own amusement, still provides some of the most powerful and darkest imagery in Disney’s history. Fantasia remains a Disney classic for its unique approach to filmmaking. It goes without saying that music and animation go hand-in-hand with each other, and Disney’s decision to marry the two mediums into one entity is as striking now as it was in its day. It’s true, Fantasia does drag a little bit at times, and if you’re looking for a more “fun” Disney movie, it’s probably not the best choice. But Fantasia remains a unique entity unto itself. Even its 60-years later sequel couldn’t match up to it. More of a cinematic concert than a traditional Disney film, Fantasia is, if nothing else, a delight of sights and sounds. I really like the Pastoral Symphony! But you are right, The Sorcerer’s Apprentice and the finale are the best ones by a long shot. When I was younger, I didn’t like Fantasia. I think it’s because in place of a full storyline and dialogue, there was only a classical score and vignettes. Now that I’m older, I can appreciate what Fantasia is, and I think your review sums it up nicely. I agree that Night on Bald Mountain is the best part, with Sorcerer’s Apprentice close behind.